With a new album out, we look at some of the former Beatles' best and strangest solo work. Beatles lovers rejoice! Fab Four song-writing maestro, musical genius and the grandpa we all wish we had, Paul McCartney, has a new album out and it’s pretty darn good for a man pushing 80-years-old. Egypt Station opened for business just over a week ago, Sir Paul’s 18th solo release since his first effort by himself in 1970. With Macca winning over fans both old and new with his latest release, what better time than now to look back at some of Paul’s biggest and best solo tunes, so you can fully educate yourself before taking a trip to Egypt Station. All aboard! Yes, ok, you’ve probably already heard this song, but there’s a reason its become a classic since its release in 1970. Taken from McCartney’s first solo album – the imaginatively titled McCartney – 'Maybe I’m Amazed' is a love letter to the woman in Paul’s life at the time, his first wife, Linda. The song is a beautiful ballad featuring a memorable piano and guitar riff (all the parts on this song were played by Paul himself, then dubbed over one another in post-production), telling the story of a man so in love with his partner that even he is amazed by the lengths of his affection. 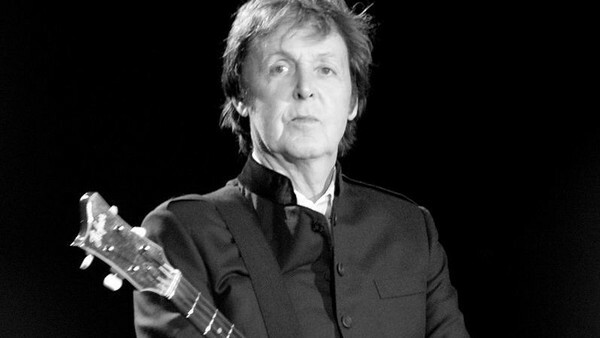 The song was inspired by Paul’s real life love for Linda, who he credited as the biggest help when getting over the break-up of The Beatles. The song is beloved by fans, critics and even the man himself, who called it “the song he would like to be remembered for in the future” in a 2009 interview. The first glimpse into a post-Beatles world, the album that 'Maybe I’m Amazed' comes from might not be the best of all time, but this song certainly stands out as one of Paul’s greatest musical triumphs. And having played the song backwards, there is no recipe for a really ripping lentil soup. Sorry.